The Plateau Effect is a powerful law of nature that affects everyone. Learn to identify plateaus and break through any stagnancy in your life-- from diet and exercise, to work, to relationships. 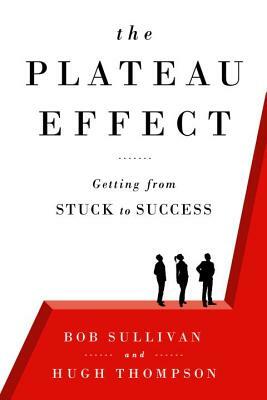 "The Plateau Effect" shows how athletes, scientists, therapists, companies, and musicians around the world are learning to break through their plateaus--to turn off the forces that cause people to "get used to" things--and turn on human potential and happiness in ways that seemed impossible. The book identifies three key flattening forces that generate plateaus, two principles to guide readers in engineering a plateau's destruction, and three actions to take to achieve peak behavior. It helps us to stop wasting time on things that are no longer of value and to focus on the things that leverage our time and energy in spectacular ways. Anything you want to do better--play guitar, make friends, communicate with your children, run a business--you can accomplish faster by understanding the plateau effect. BOB SULLIVAN and HUGH THOMPSON are entrepreneurial analysts with 40 years of experience between them researching, writing, and analyzing systems and human nature. Bob is an investigative journalist for NBC News and MSNBC.com and the bestselling author of "Gotcha Capitalism" and "Stop Getting Ripped Off." Hugh is a mathematics and computer science professor and speaker who teaches executives how to protect themselves from 21st Century hazards.